Presidents, kings, and rulers have a host of "wise" and diplomatic counselors. Many also surround themselves with people of power and wealth. 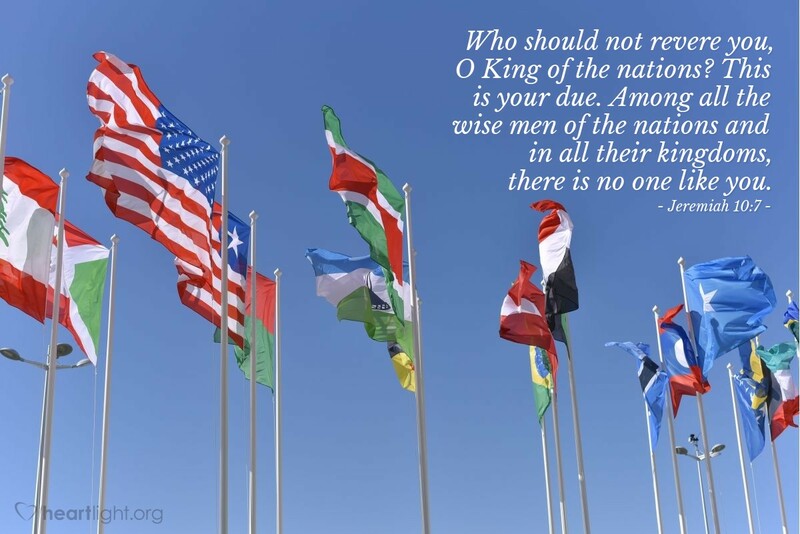 There is, however, only One King of the Nations! There is only One who will truly and ultimately rule over all peoples of the earth. He is beyond compare and has no worthy rival. His name is YAHWEH, the great I AM, the LORD God Almighty, the one true and living God whom Jesus taught us to call our Abba Father. All creatures, great and small, will one day revere him and honor him. All peoples of every nation will one day bow down and worship him. Let's make sure we do it today!